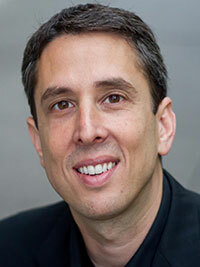 Marc Hodosh is an American entrepreneur who formerly owned, co-created and hosted the TEDMED conference. Hodosh previously led the Archon Genomics X PRIZE, which followed the Ansari Space X PRIZE. He has been a consultant to inventor Dean Kamen at DEKA Research & Development and also chaired Kamen’s FIRST Robotics competition within the Boston region. Earlier, Hodosh founded and sold ID One, which specialized in facial recognition technology for the US Military and Intelligence communities. He also led business development at Viisage, a previously publicly traded, facial recognition company. He is currently producing television shows focused on health innovations and human longevity.